The Búðarháls Hydropower Station is located within the Þjórsá- and Tungnaá River water catchment area. The Station utilises the 40 metre head in the Tungnaá River from the tailwater of the Hrauneyjafoss Power Station to the Sultartangi Reservoir. The installed capacity of the Station is 95 MW and the generation capacity is estimated at 585 GWh/yr. The Station became fully operational in March 2014. 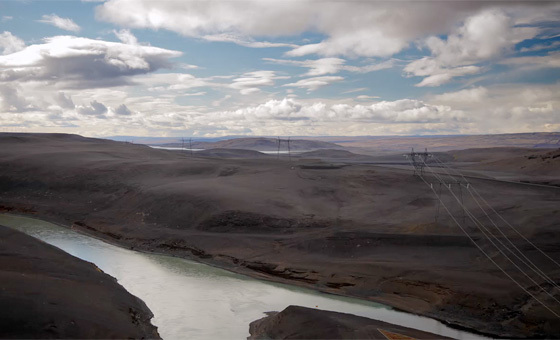 Two earthfill dams were constructed at the Búðarháls Hydroelectric Power Station, to the east of the Búðarháls ridge and a short distance upstream of the junction of the Tungnaá River and the Kaldakvísl River. One of the dams was built across the Kaldakvísl River and the other across the tailwater from the Hrauneyjafoss Power Station. The dams are both approximately 25 metres The total installed capacity of the Búðarháls Hydropower Station is 95MW and the generation capacity is estimated at 585GWh/yr. at their highest point and have a combined total length of 1400 metres. The two dams form the intake reservoir for the Búðarháls Hydropower Station, given the name Sporðaldalón (the Sporðalda Reservoir). The reservoir’s total surface area is approx. 7km2. A headrace tunnel, approximately 4 km in length, conveys the water from the intake structure at the Sporðalda Reservoir, westward through the Búðarháls ridge, to a surge basin on the west side of Búðarháls ridge. Two steel penstocks convey the water from the intake to the Station’s turbines. The powerhouse is mostly above ground, built into the western slope of the Búðarháls ridge. There are two generating units, each with an installed capacity of approx. 48MW. Construction work for the Búðarháls Hydropower Station began at the end of 2001. The initial development of the area included the construction of a bridge across the Tungnaá River and an access road, across Búðarháls ridge, up to the construction site for the powerhouse and the Sporðalda Dam. 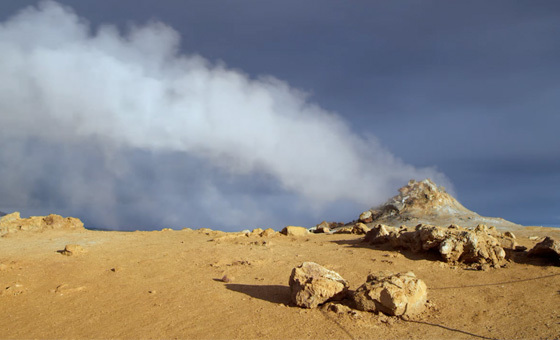 In the summer of 2008 and 2009 more preparatory work was carried out, including the laying of a power cable from the Hrauneyjafoss Power Station to the proposed construction site. Work camps were also erected. 65,000 cubic metres of concrete and 4,500 tonnes of steel were used in the construction of Búðarháls. The first tenders were advertised in June, 2010. An agreement was reached with the construction company Ístak with regard to the construction of the tunnels, dams, powerhouse and other structures in connection with the development. In December, 2010, an agreement was reached with the German company Voith-Hydro for the supply of all mechanical equipment and electrical equipment for the power station. Tenders for other parts of the project were completed by 2012. A contract was signed with IAV Construction, with regard to the construction and installation of penstocks in 2011. A contract was signed with the French company Alstrom Hydro, with regard to the construction and installation of gate equipment in January, 2012. A contract was also signed with the Portuguese company Efacec with regard to the production of generator step up transformers in April 2012. All tenders were advertised in the European Economic Area. The single largest project phase undertaken in the development of the Búðarháls Hydropower Station was the construction of the headrace tunnel through the Búðarháls ridge. The underground headrace tunnel is approx. 4 km in length and the total cross section area is 140 m2. The tunnel was excavated from both ends and in two phases, as a result of its height. Excavation work was completed in September of this year and water was released into the tunnel in November. The geological conditions were more challenging than originally anticipated and consequently the completion of tunnelling work was 60 days behind schedule. Work on the powerhouse and intake structure was fully completed by the end of 2013. Búðarháls is the 7th largest power station owned by Landsvirkjun. The power station’s installed capacity is 95 MW and it generates approximately 585 GWh of electricity per year for the national grid. The filling of the Sporðalda Dam began in the summer of 2012 and was completed by late autumn, 2013. The filling of the Sporðalda Reservoir began in November 2013 and was completed within three weeks. All the mechanical equipment and electrical equipment for the power station was supplied by the German company Voith-Hydro. The equipment was mainly manufactured in Heidenheim, Germany but also worldwide in Sweden, Brazil, China, Croatia, Italy and Spain. The installation of equipment was successful and reached completion by the beginning of October, when the testing period began. Turbine 1 generated electricity for the transmission grid, for the first time, on the 16th of December, 2013. It officially came online on the 11th of January, once testing had been completed. Turbine 2 began generation, once testing had been completed, on the 8th of February, 2014. Nearly all of Landsvirkjun’s hydropower stations use Francis turbines. 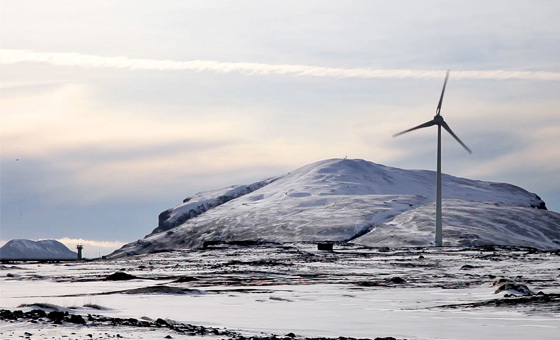 However, the Búðarháls and Steingrímstöð Stations use Kaplan turbines. Kaplan turbines are suitable for low head, high flow areas. The Kaplan turbine is similar to a ship propeller; the rotor blade pitch is adjustable in order to steer the power and efficiency of the turbine. The gate equipment was provided by the French company Alstrom Hydro but the manufacture of the equipment was mostly completed by Pemel, their Portuguese sub-contractor. The manufacture of the gates began in the middle of 2012 and work on the erection of gate frames and gate track equipment was completed alongside other construction work. The draft tube gates became operational in August of 2013 when water was channelled into the Station from the Sultartángi Reservoir. The erection of gates and gate equipment and finally the wheel gates for the intake structure was completed in November, 2013. At the height of construction work, nearly 400 employees were involved in the construction of the Búðarháls Hydropower Station. The measured labour force was approx. 900 man-years. The penstocks for Búðarháls were designed and manufactured by an Icelandic company. Landsvirkjun has previously purchased penstocks for its stations from manufacturers abroad. 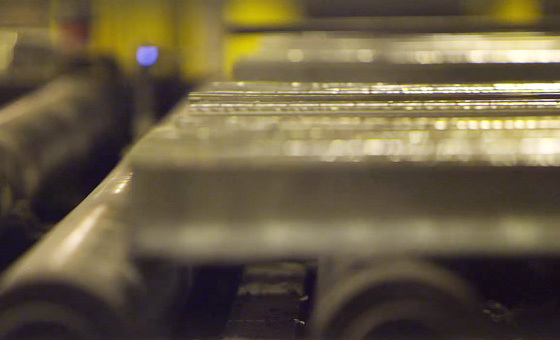 The manufacture of the penstock parts began in the beginning of 2012 in the town of Garðabær at Teknís, a subcontractor for ÍAV. The first units were transported to the site in May of that same year. The erection of the penstocks was successful and was completed by the beginning of 2013 with the exception of sandblasting and paintwork which was completed in July. On average, three hundred on-site workers were involved in the construction of the Búðarháls Hydropower Station. The measured labour force for the Búðarháls project by the end of the year, was approx. 900 man-years, not including those employees who worked on the manufacture of mechanical equipment and electrical equipment all over the world. The penstocks at the Station are manufactured and designed in Iceland. Safety issues were at the forefront of construction work carried out for Búðarháls and all necessary measures were taken to prevent accidents. The success rate was high and all employees were encouraged to remain ‘safety aware’ throughout the project. The Búðarháls Hydropower Station project reached completion by the end of 2013, with the exception of finishing work and mechanical equipment testing. The Station began operations in February, 2014. Work camps and contractor’s equipment will be removed from the area in the near future. The summer will be spent completing work on the clean-up and landscaping of the areas around the station’s structures. The design of the Búðarháls Hydroelectric Power Station was completed in cooperation with a number of Icelandic engineering consultants. Efla hf provided the civil and structural design for all components and was responsible for the project management of other design work. Mannvit hf predesigned the penstocks and gates and Verkís hf predesigned the mechanical equipment and electrical equipment. The architectural design of Búðarháls was undertaken by the firm OG Architects. The supervision of the site was the responsibility of staff provided by Landsvirkjun, in cooperation with staff supplied by the engineering consultancy firm Hnit hf.